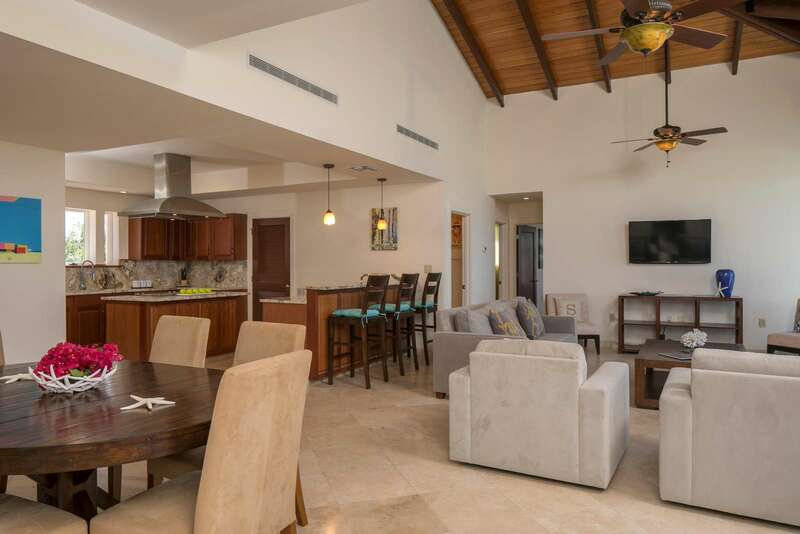 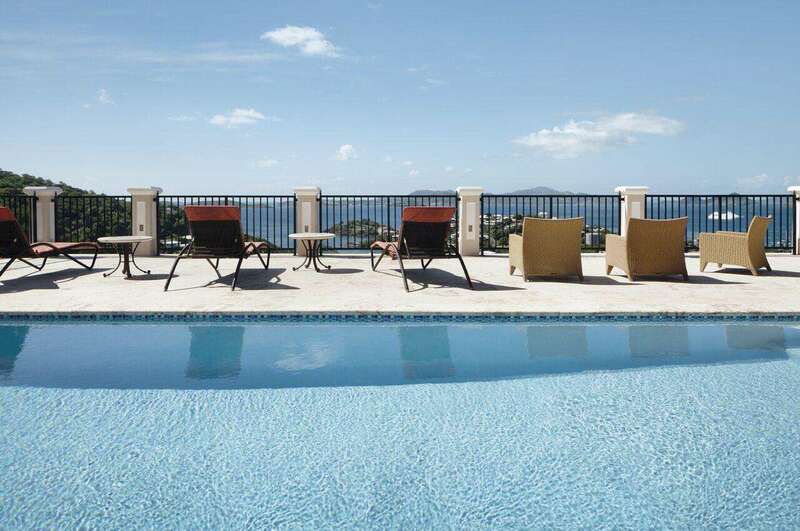 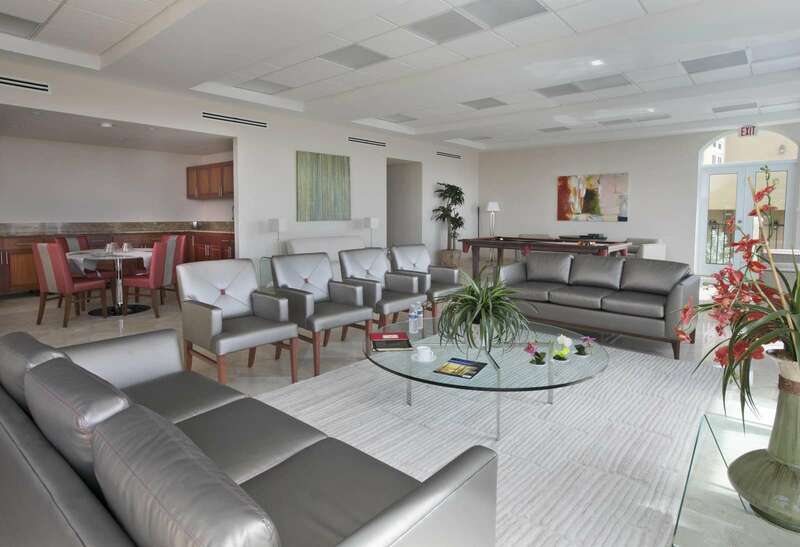 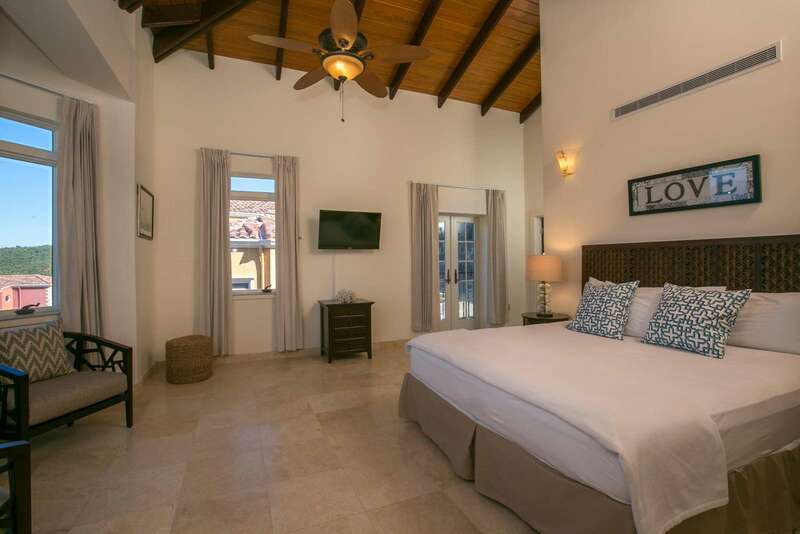 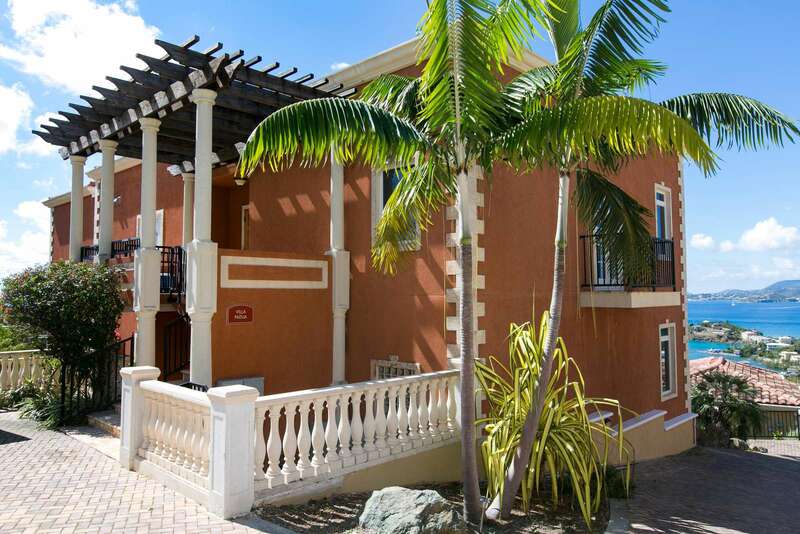 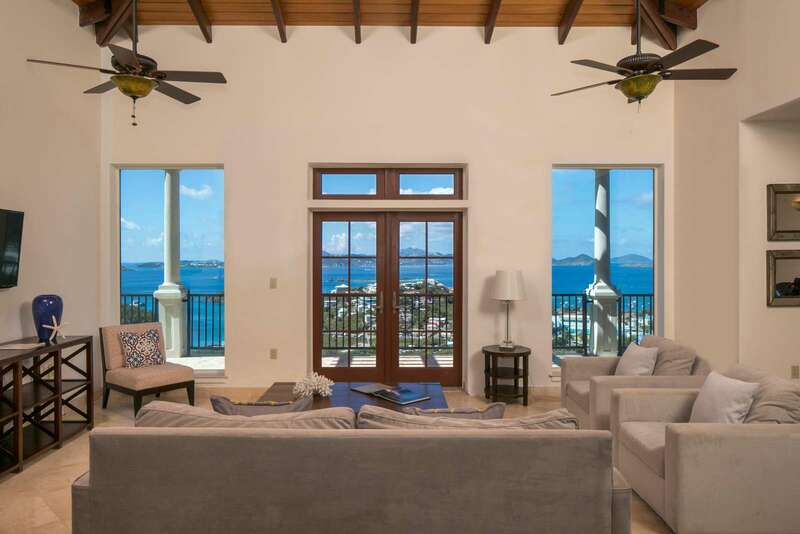 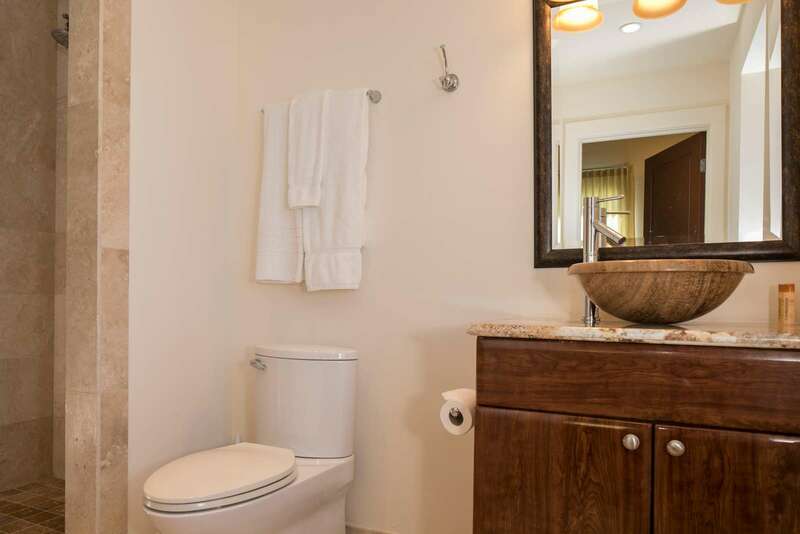 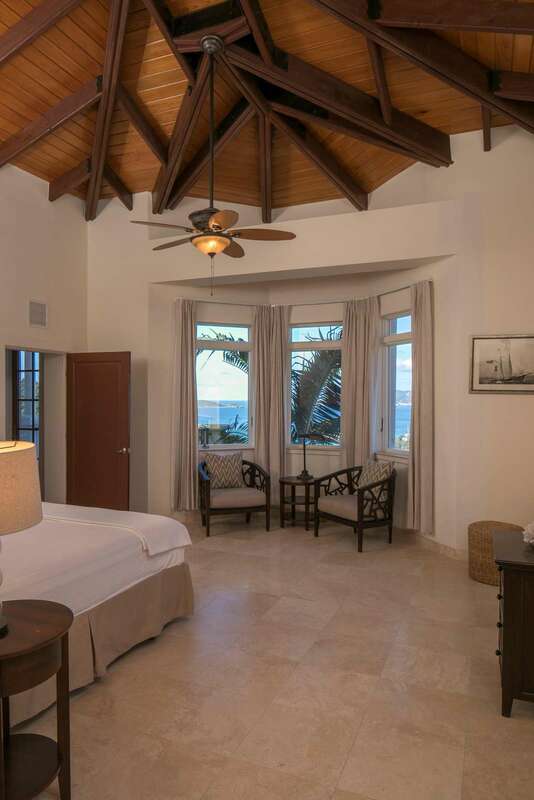 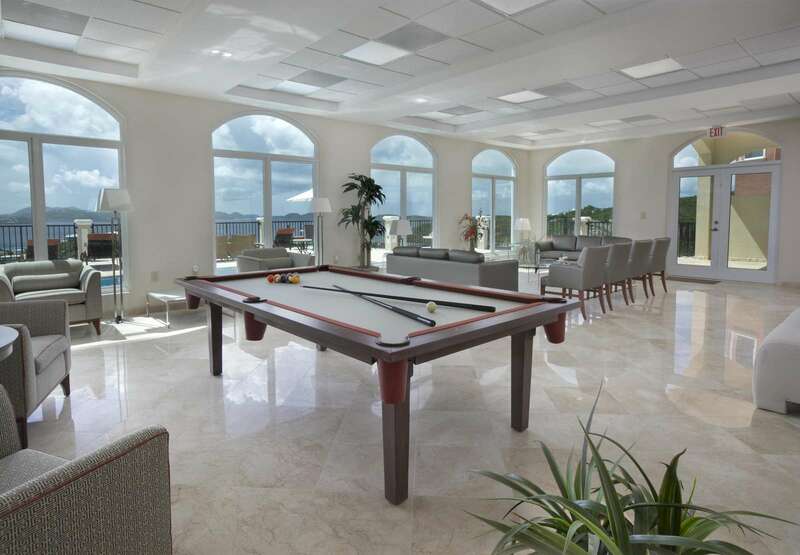 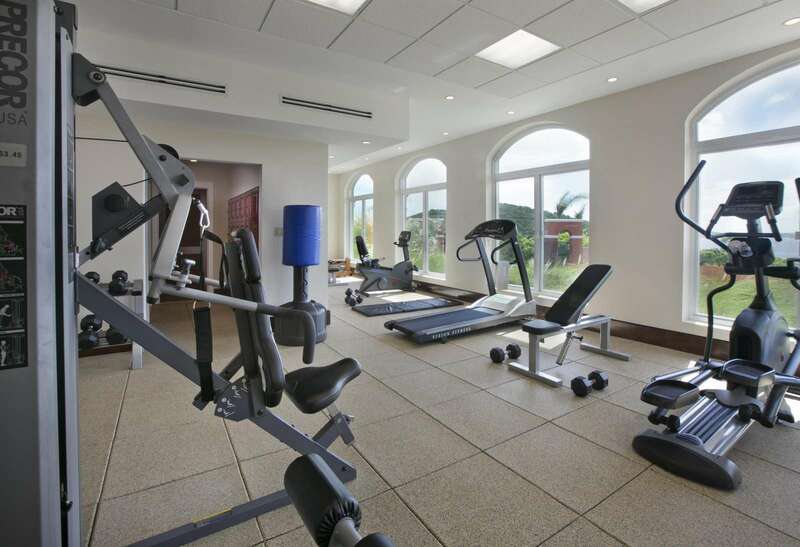 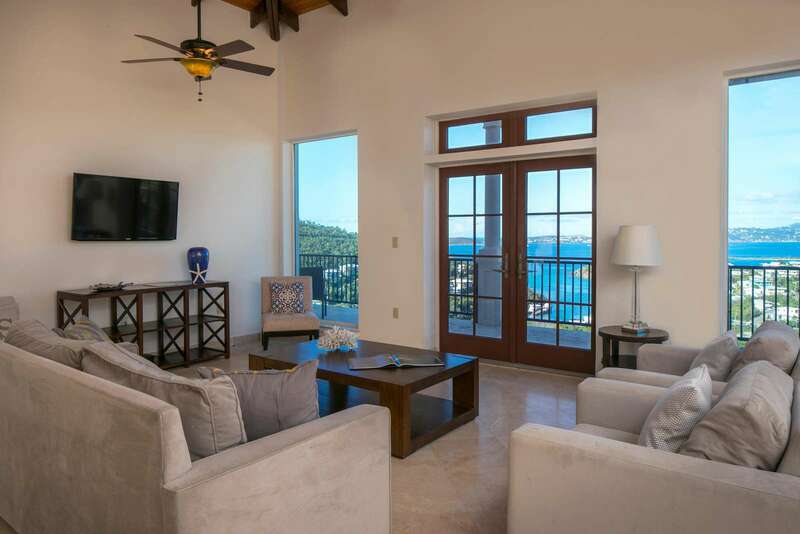 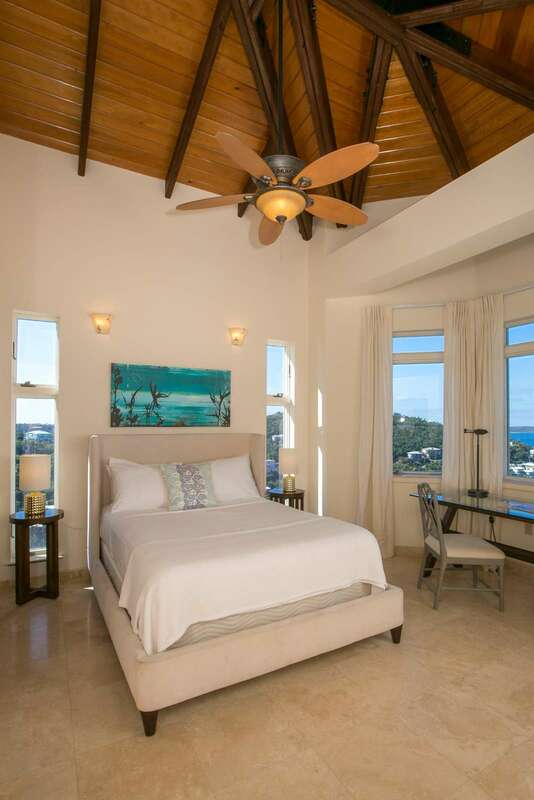 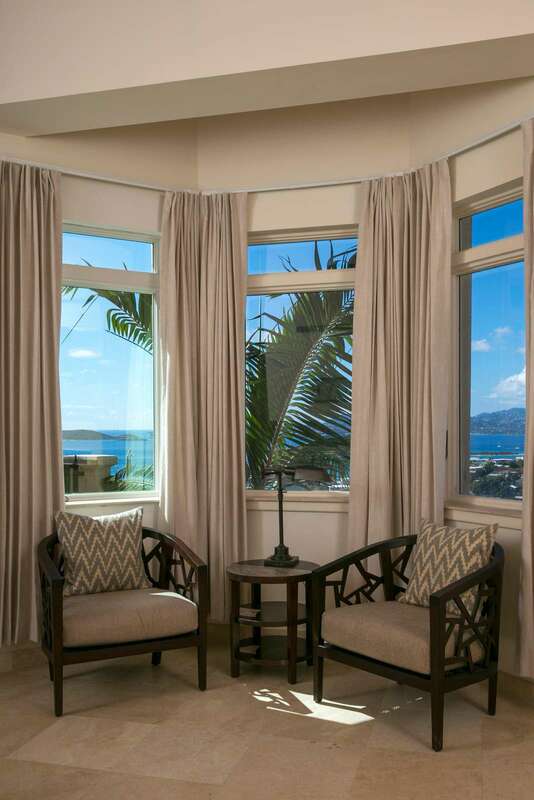 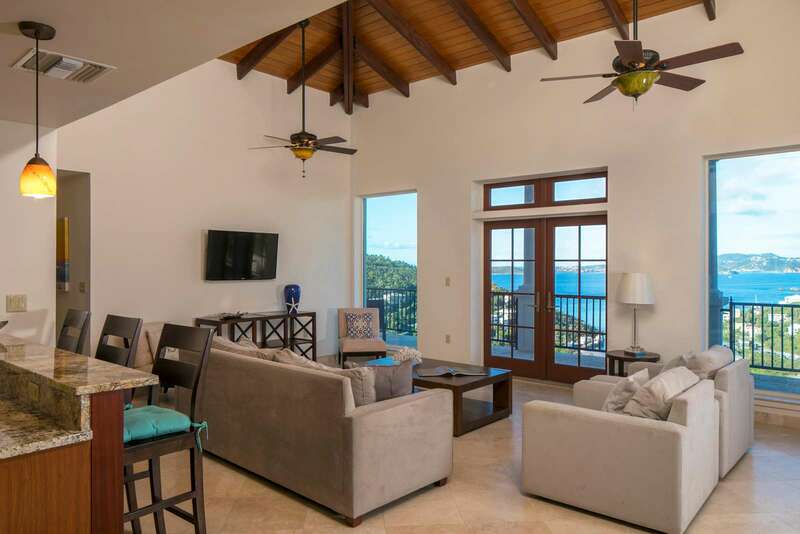 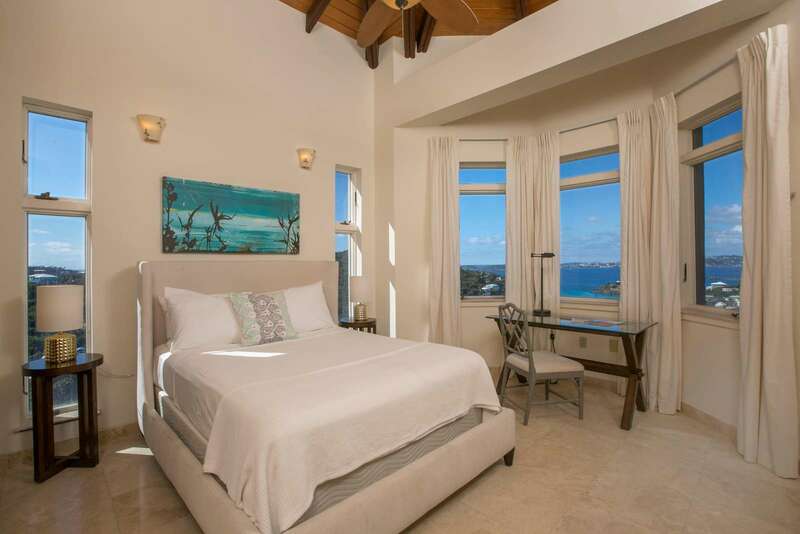 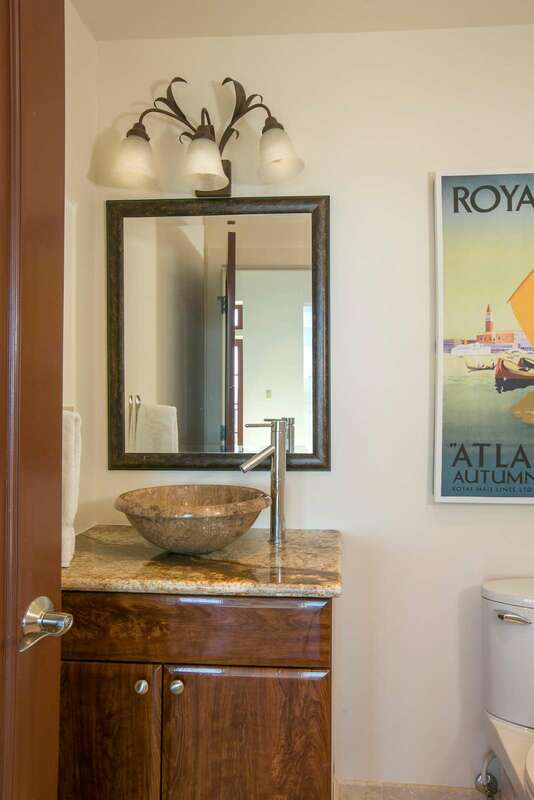 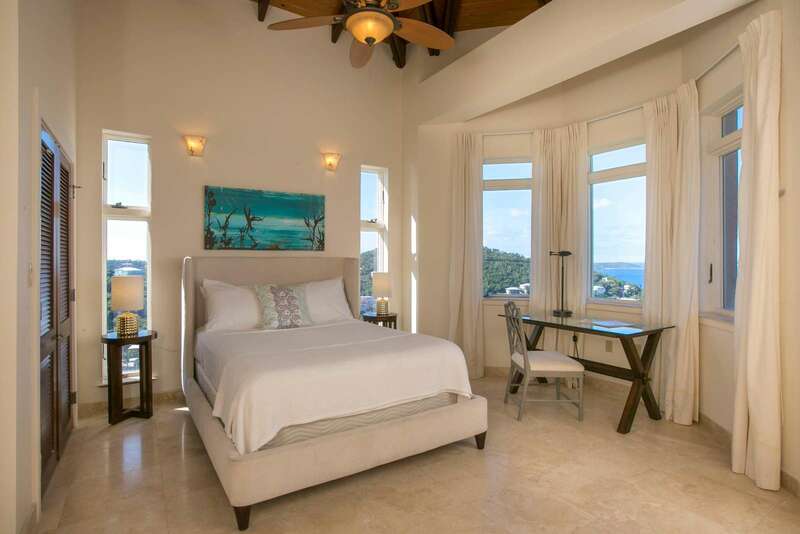 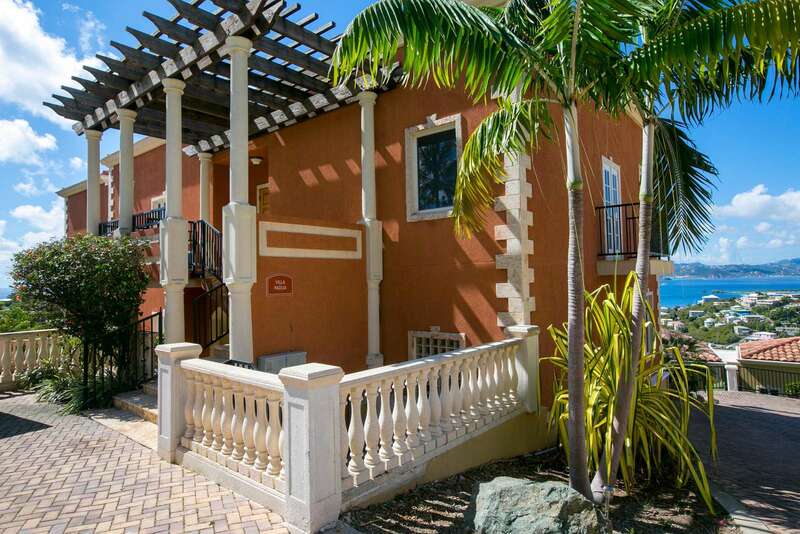 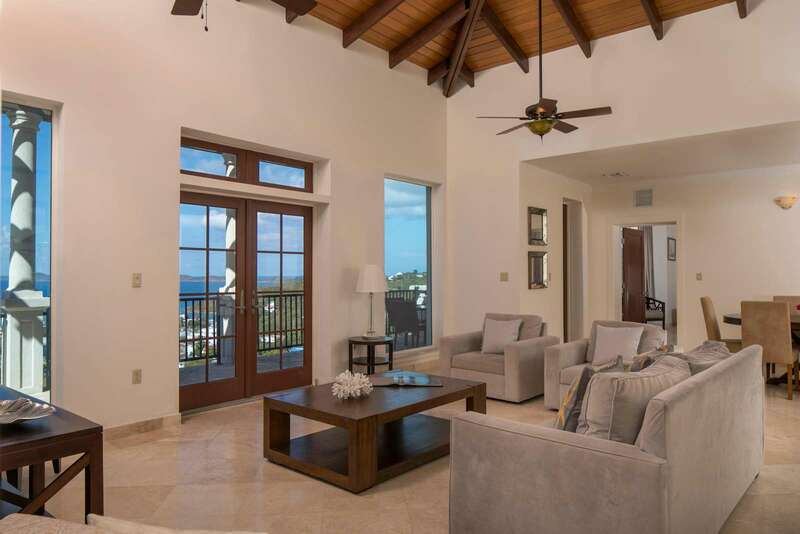 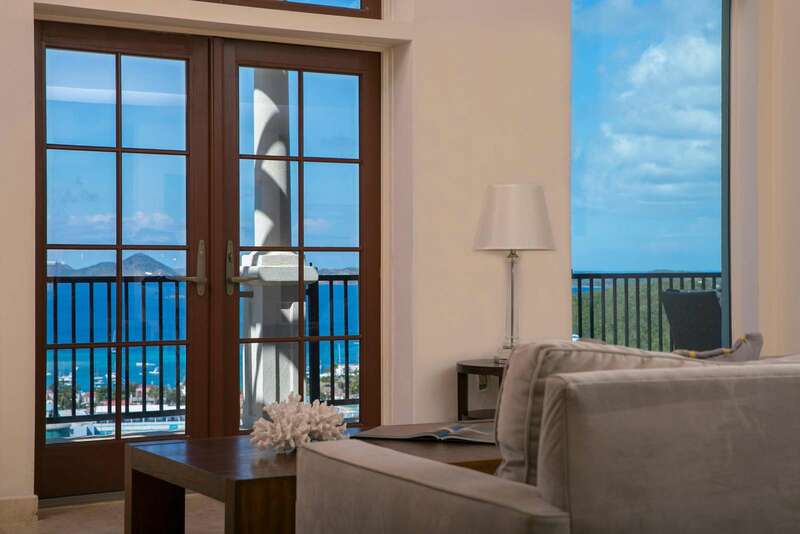 Padua is a spacious 3-bedroom, 3.5 bathroom property with marble and wood finishings featuring huge windows that encase a live artistic installation; that of the Caribbean’s turquoise waters against a backdrop of jagged islands. 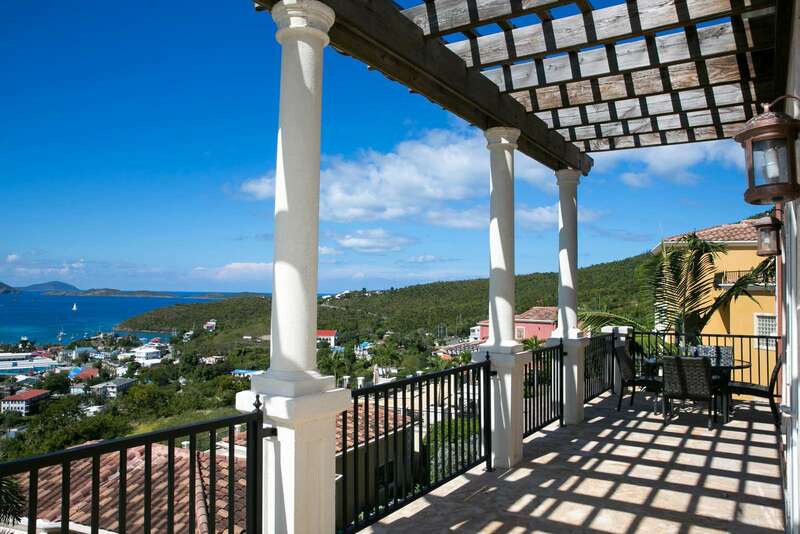 The views are brilliant by day, shimmering by night. 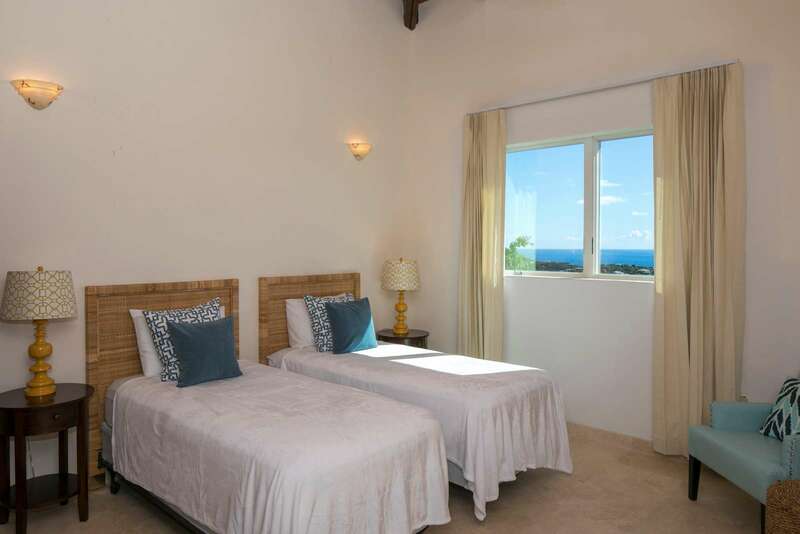 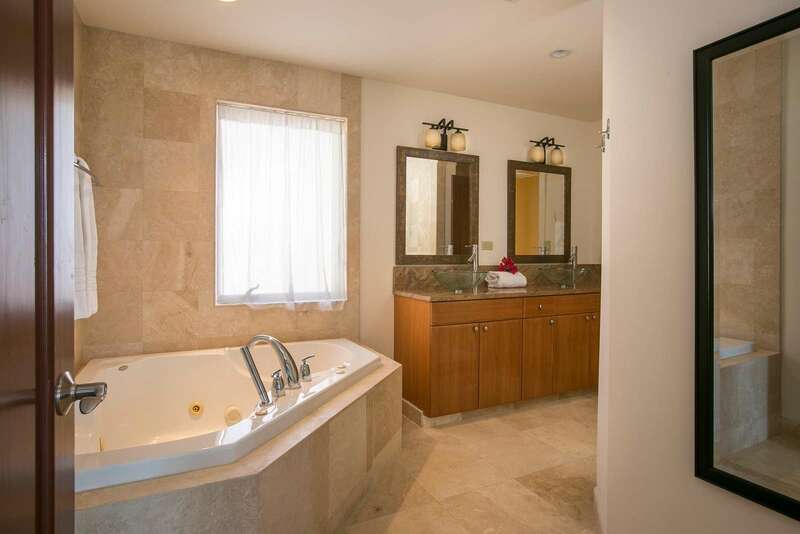 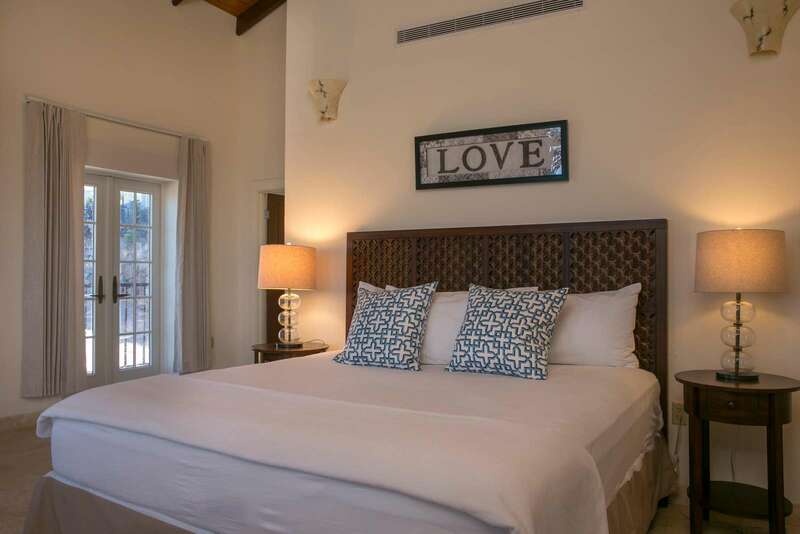 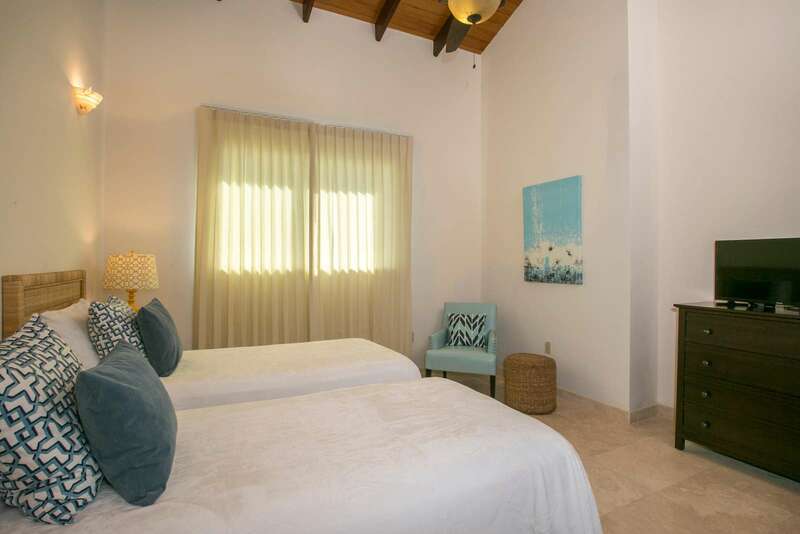 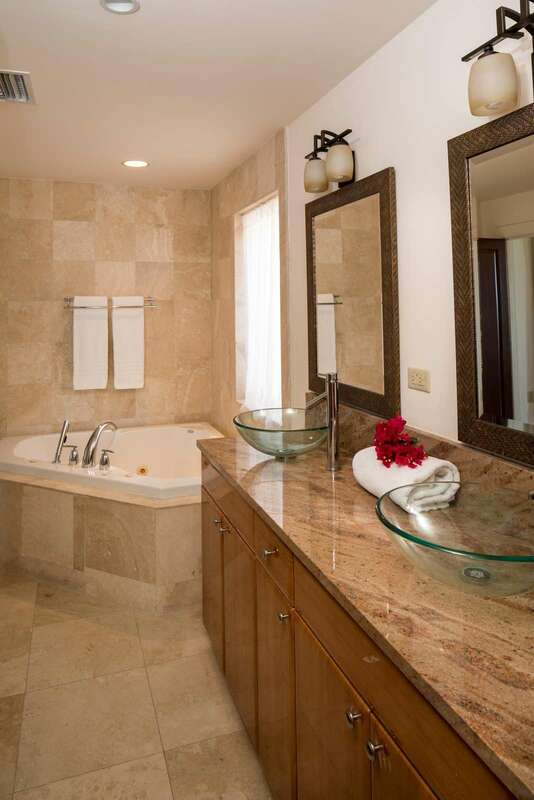 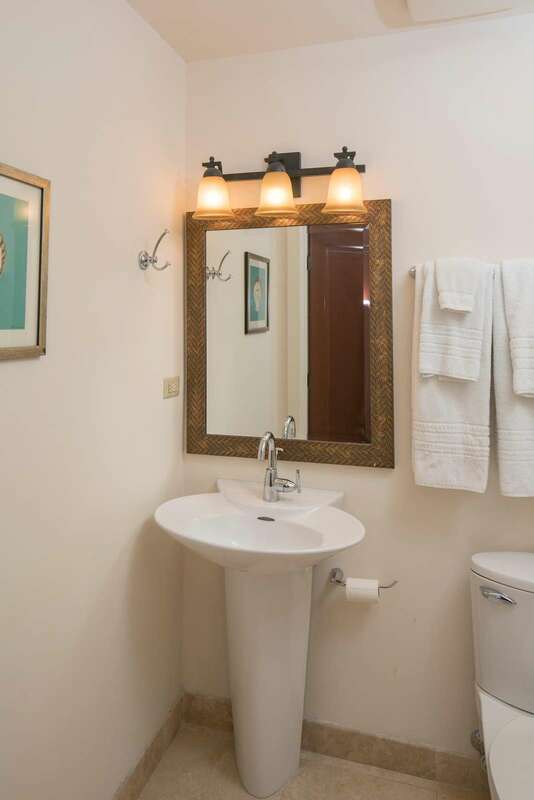 Located just minutes from the town of Cruz Bay and a short drive from the pristine beaches of the National Park! 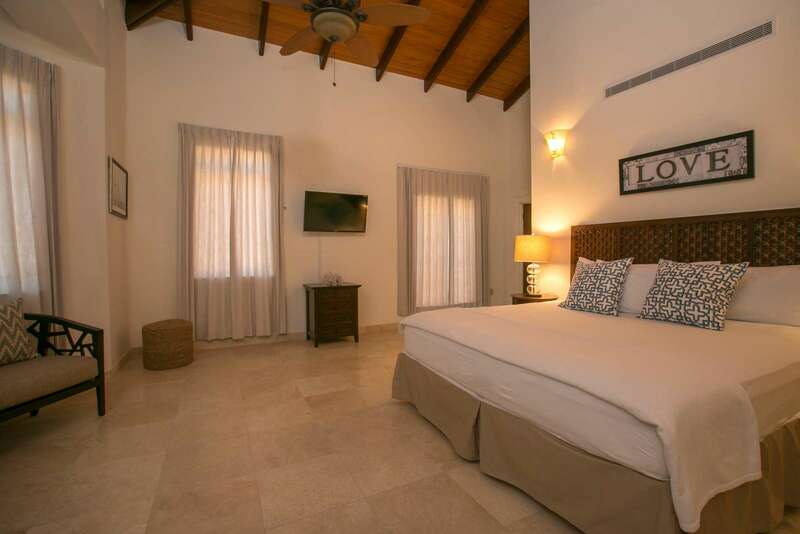 Whether sharing the villa with family or friends, the en-suite bedroom with stone lined bathrooms and full body spray showers offer privacy and a relaxing way to end the day. 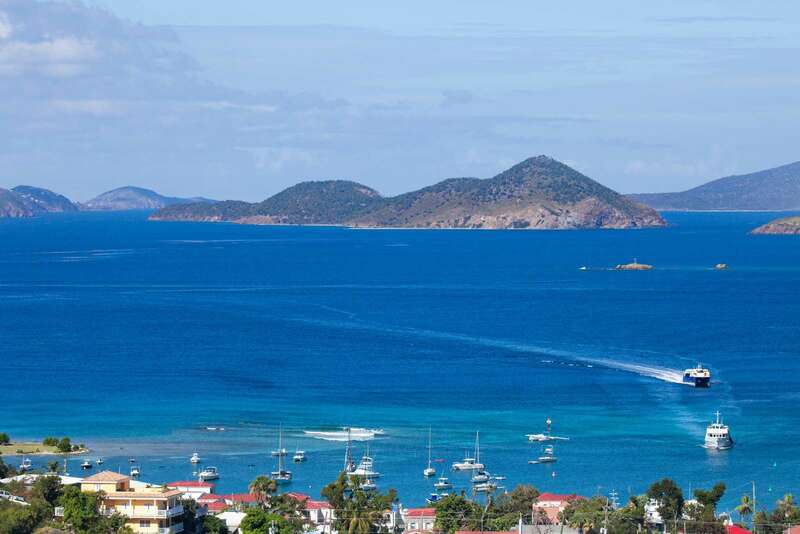 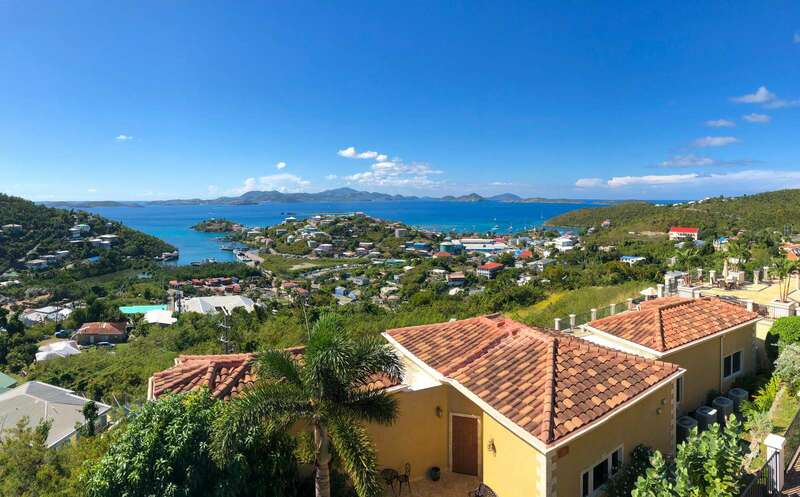 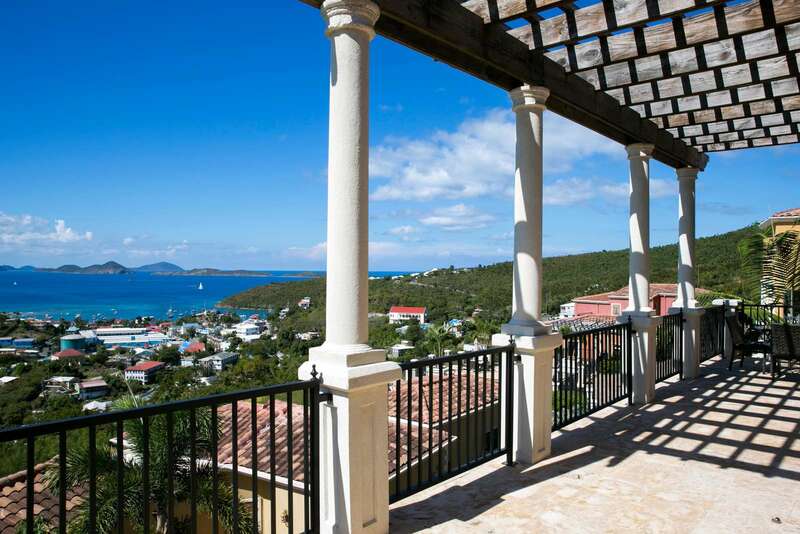 It’s a perfect way to wind down after a day of reclining on your porch, exploring coral reefs off the spectacular white-sand beaches of St. John, hiking trails with historic sugar mills, or perhaps sailing and enjoying water sports. 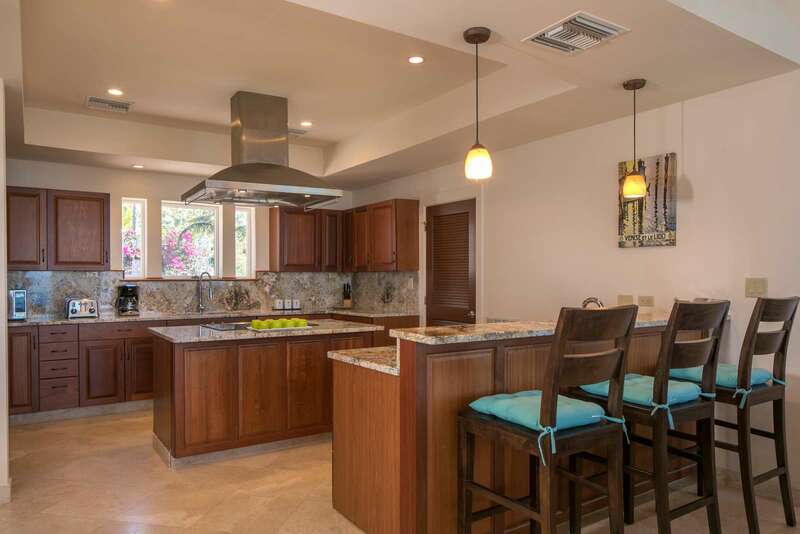 If your preference is hands on when it comes to food preparations, you’ll be cooking in granite and stainless surrounds replete with the gadgetry of a fully equipped chef’s kitchen. 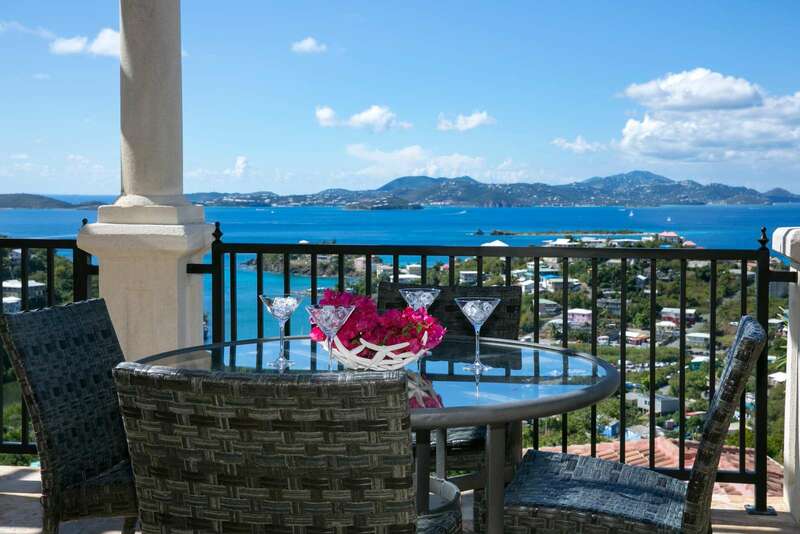 Enjoy morning coffee or evening cocktails on your expansive patio. 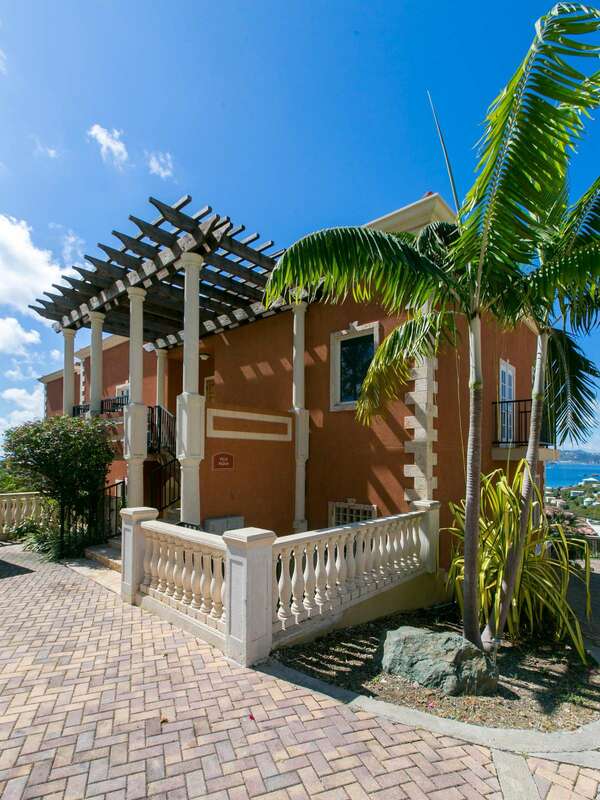 Cobblestone roadways and Tuscan-style architecture cap off the unique details of Villa Padua with understated elegance and the comforts of home. 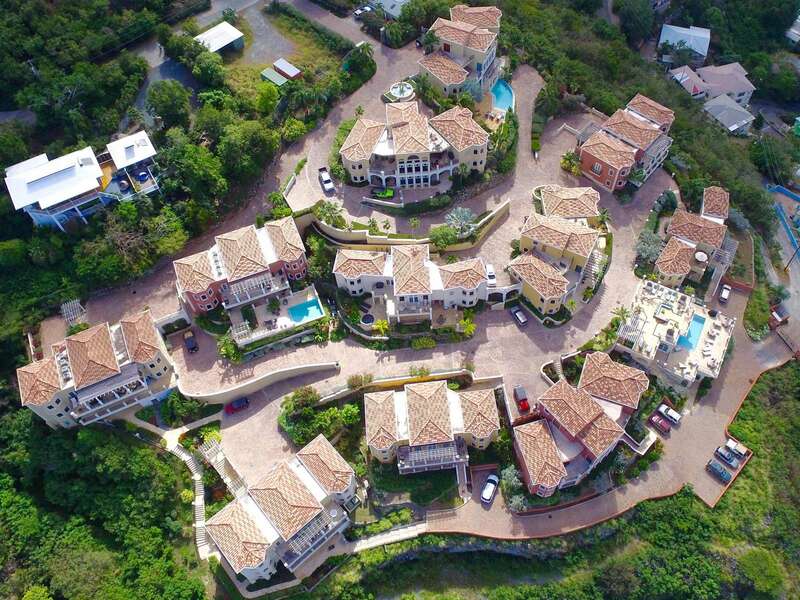 This property has 1 King(s), 1 Queen(s), 1 Twin(s).